Is Loneliness Keeping You Single?? Home/Blog Posts/Is Loneliness Keeping You Single?? Did you know that loneliness can actually KEEP you single?? Well, emotions are not just feelings, they have substance which means they also have inertia. So the more you spend time feeling something, the more you feel it. And if that feeling is loneliness, then this negates any momentum you had toward getting OUT of this space and meeting someone amazing. Now, loneliness feels awful obviously, so it’s completely natural that when it comes up we want to either push it away (denial), or tell ourselves it’s not that bad and get used to it (resignation). But in actuality, even though resigning yourself to it might make you feel a bit better momentarily, it is the worst thing you could possibly do. Because if you let this become familiar, you become accustomed to it and you SETTLE. You know this place, right? You want to meet someone but you can’t and you don’t know why, so eventually you get used to it. You tell yourself, “It’s not so bad” and you adjust to life being this way. The fact is that the more time you spend telling yourself that you’re okay where you are, the harder it is to leave that place and move into where you actually want to be. If you spend a lot of time being lonely then it makes more loneliness more likely. The longer you stay in a place you don’t really like, the more it normalizes and becomes what you expect, and think is “likely”. And the harder it is to change it and become really happy. I’ve recorded a short video for you today to show you how you can avoid falling into this trap. – What you need to do to get yourself OUT of the loneliness rut, once and for all! To Living Your Best Life! 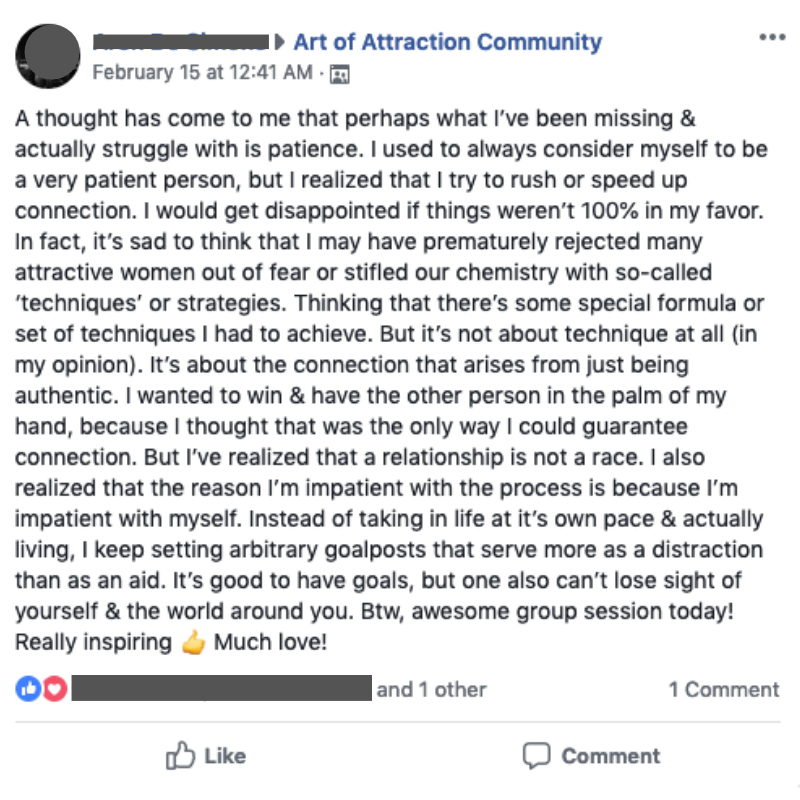 How Josh went from crippling anxiety to wildly attractive in just 4 weeks! Are you waiting for a woman, to be happy? How Is Impatience Keeping You Single?